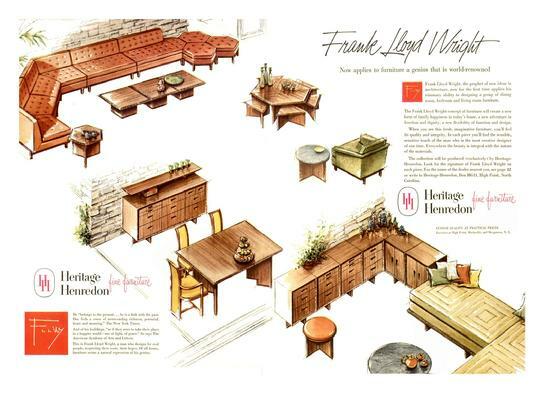 In 1955 Frank Lloyd Wright teamed with the Heritage-Henredon furniture partnership to create a furniture collection intended for the American mass market. The group was the “Taliesin Collection," with an initial offering of 63 pieces. The Taliesin Collection was ahead of its time. When the group was introduced, both the decorating world and the homeowner herself had trouble finding an application for the group that "fit." At the time, Taliesin didn't seem to work with traditional styles, nor did it fit in with the "new modern," made of new space age materials, including of plastic and metal. The Taliesin Collection bridges styles, pulling together so many things that are today considered modern. It's for exactly this reason that the Taliesin items from Heritage-Henredon are so appropriate and sought today. 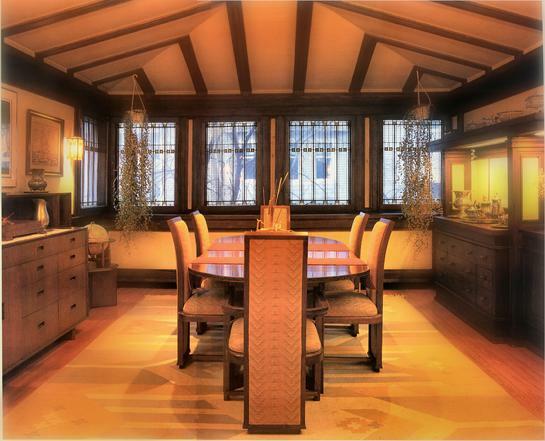 Below is a photo of the round dining table shown in the dining room of the Cheney House in Oak Park, IL. It was Mrs. Cheney with whom Wright carried on a tabloid sensationalized affair for many years, as presented in the best-selling book "Loving Frank." 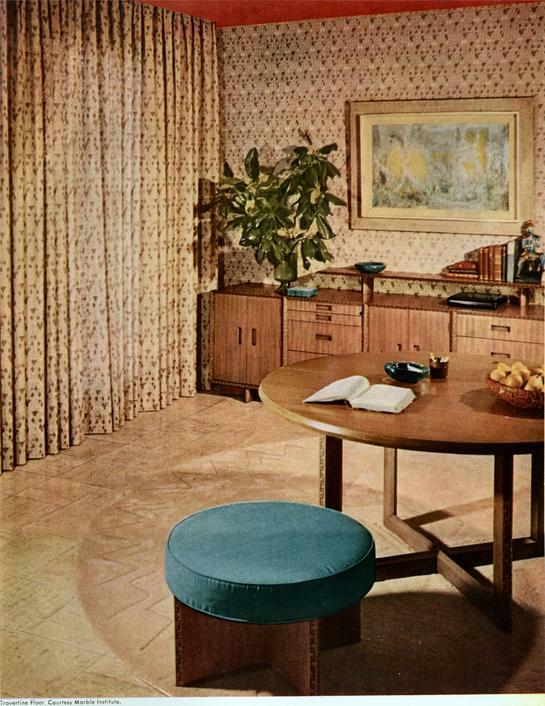 The second photo below is a House Beautiful photo of a prototype of the round table dining, but with a different edge detail than the copper molding which was used in production.